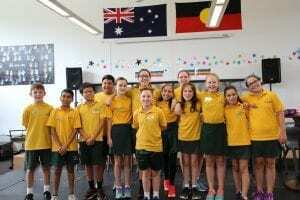 Our Student Leadership Program is well regarded at Bundoora Primary School. We have high expectations of our Student Leadership Team. We expect our Student leaders to be ambassadors for our school, promoting our school values and culture, while being responsible role models for all students. Leadership roles begin at Prep level and travel throughout every class. Each class has a Class Captain, elected by class peers and supported by our class teachers. These Class Captains attend Junior School Council (JSC) meetings, held at least monthly. Our School Captains lead our JSC meetings and are responsible for agenda setting, Minute taking, and supporting our younger Class Captains to report back on the JSC process and decisions. Our Year 6 Student Leaders are supported to develop and improve their Leadership capacities. A trainee program for aspirant student leaders is run every year throughout Term 4.